On the southern shores of Cyprus lies the magnificent city of Limassol. This largest city on the island features an array of historical sites and fun activities for visitors to enjoy. The city is also known for its idyllic climate and spectacular scenery. Limassol is additionally a refreshing departure from some of Europe's more crowded and hectic cities. It is believed that the city was established sometime around the year 451. Ancient graves from thousands of years ago suggest that the area was a thriving population center before the city was officially founded. The city was under Byzantine rule until the Anglo-Normans took control of Cyprus during the 12th century. The city also fell under the control of Venetian, Ottoman and British rule during its history. Several sites of historical significance still intrigue visitors to this day. The city center is dominated by the medieval Limassol Castle. Kolossi Castle, which was built during the 13th century, still stands in all its glory. A series of ruins can still be seen at the site of the ancient city of Amathus. An ancient amphitheater located just outside the city limits in Kourion is another remarkable site. Visitors additionally have the option of learning more about the art, history and culture of Limassol by visiting one of the local museums. The Folk Art Museum showcases traditional costumes, beautiful tapestries and other pieces representing the city's culture. Ancient sculptures, tools, coins and other artifacts are on display inside the Archaeological Museum. Limassol is also famous for its beautiful beaches. Kourion Beach, which is the largest beach in Limassol, is the perfect place to go to enjoy swimming and windsurfing. The calm waters found at Pissouri Beach make it one of the safest places to swim. Governor's Beach is ideal for visitors who wish to avoid the more crowded beaches. Many travelers choose to visit Limassol to partake in the vibrant festivals held in the city throughout the year. The city's annual Carnival in February is similar to those found in other European cities. Samples of local wine can be savored at the Wine Festival of Cyprus held during the latter part of summer. Summer is also the time when the International Festival of Ancient Greek Drama is held in the city. Despite its tranquil environment, Limassol is also known as a place with a vibrant nightlife scene. Many of the areas around the city feature a selection of hip bars and trendy nightclubs. Many of the local discotheques play music from some of Greece's & Cyprus' hottest performers. 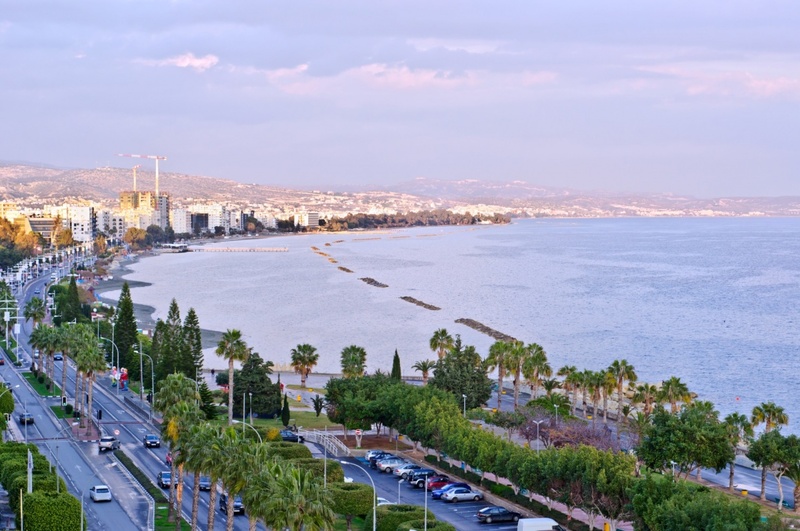 A visit to Limassol will provide a magical experience for all travelers. This city showcases the greatest aspects of Cypriot culture with a charm all its own. Find information about selected Hotels, apartments and rooms in Limassol to choose the perfect place for your accommodation.